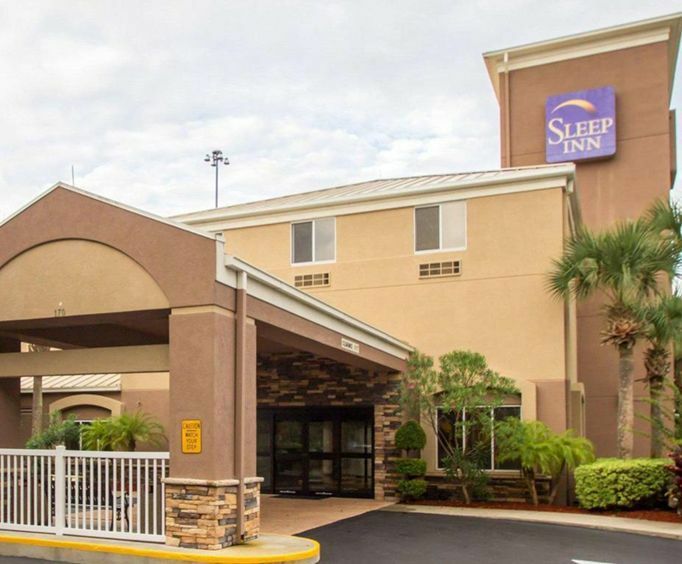 Located within close proximity to I-95 and the Daytona Beach resort area, the Sleep Inn in Ormond Beach, Florida is your ideal place to stay on business. Some of the amenities of this hotel include a free daily newspaper, a hot continental breakfast, an outdoor pool and a fitness center. 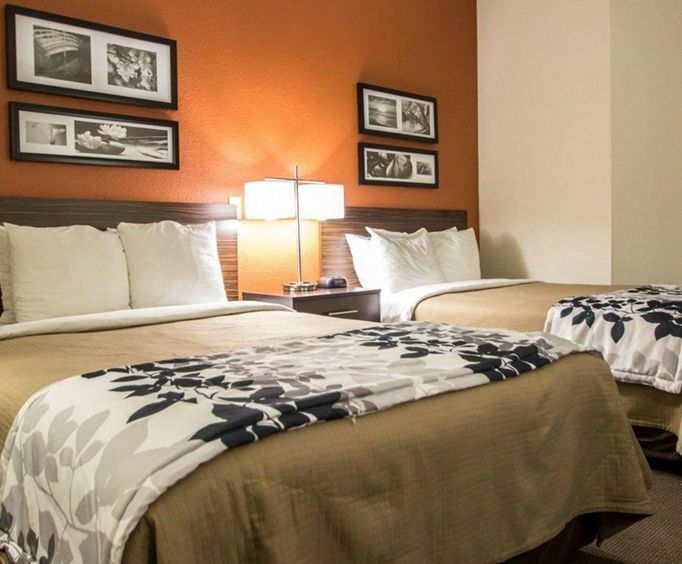 Popular attractions located near this Sleep Inn hotel include Daytona International Speedway, Greyhound racing, Adventure Landing, Embry-Riddle Aeronautical University, Bethune-Cookman College, Daytona USA and Daytona Lagoon. Kick off your day with a complimentary deluxe continental breakfast that includes a variety of pastries, fruit and cereals, as well as milk, coffee, tea and juices. Enjoy your food while you read the complimentary newspaper. After enjoying breakfast, work off the calories in the fitness center. 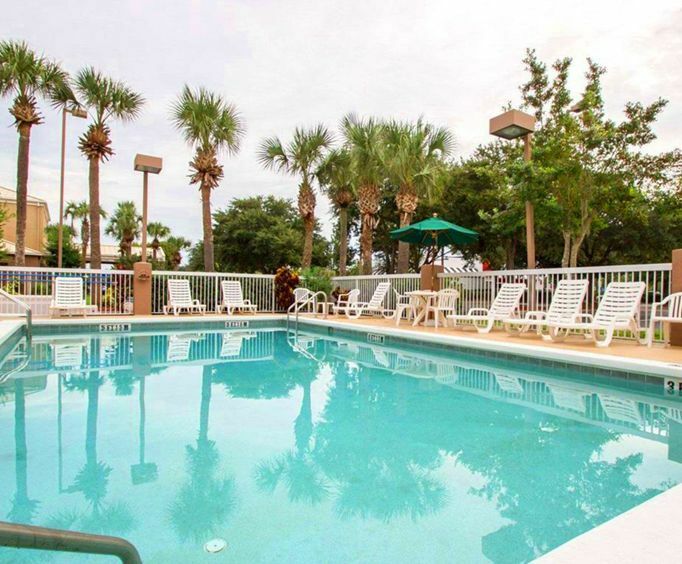 After working up a sweat, take a dip in the outdoor pool, or work on your tan on the sundeck before heading to the beach or relaxing in your room. Your room at Sleep Inn includes a variety of amenities, including an iron and ironing board, a coffee maker, a refrigerator, cable television and complimentary high-speed internet. Your hotel is close to a variety of restaurants in the area, including Applebee's, Denny's and Wendy's, all of which are located within 500 feet of the hotel. If you are looking to get some shopping done, the Ormond Town Square is located just 0.1 miles away.